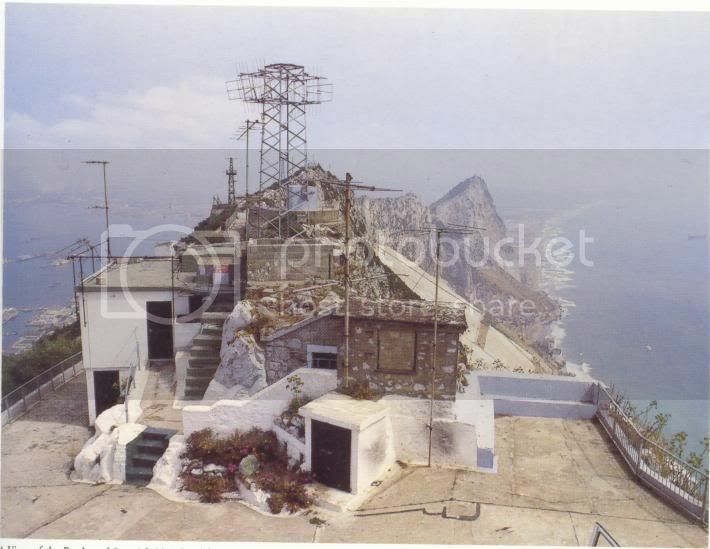 Can anyone tell me what gun batteries were on Gibraltar during the war, was there a gradual increase in the number of guns on the rock, or was it fairly static? Did they have any particular names for each battery? (Reference book for Gib during time of war would be nice). The following is from 'After the battle magazine' issue #129, which devotes a section to the dismantling and preservation of the Spur battery, which according to the mag were deployed during the war. There were also several dual coastal /anti-aircraft batteries, such as the 5.25-inch armored mounts of Princess Anne's Battery. Many thanks, thats a great answer, just what I was looking for. The seaward defenses of the fortress were quite varied but, while formidable, not quite the propaganda image of the Rock, bristling with guns. The primary batteries were a set of twin 9.2" naval guns guns at the southern end of the peninsula, which had sufficient range to interdict all surface naval traffic through the straits. Six more single-gun batteries of 9.2" naval guns were placed facing seaward to the east. Finally, a twin 9.2" howitzer battery faced the straits as well. The secondary batteries were just as numerous, with eight 6" naval guns, although three of these faced northward, toward the border with Spain. A tertiary armament of four 4" guns in two batteries protected the eastward cliffs. In 1941, Gibraltar was defended by several guns, mainly of 234mm and 152mm caliber [...] The 155mm batteries were intended to bomb the Spanish territory and the Algeciras Bay, and the heavier guns were intended to attack ships passing by the straits, though some of them could also fire to the Spanish territory. The pieces of 234mm, Mk.10 model, [...] were placed mainly in the south and east side of the rock, pointing to the sea. There were also 2 x 233mm howitzers. And for context, here is the view of O'Hara's Battery, looking north towards Spain. On page 51 of Osprey Fortress 52, The fortifications of Gibraltar 1068-1945, there is this good map showing the location of the known gun batteries during World War II. Given the projecting runway and the presence of 17 pounders I presume that this is late war. As I stated before posting the map, the book says that it shows the location of the known gun batteries during World War II, so the data represents the batteries that existed during the war, even if they were not in existance at the start. sallyg wrote: Given the projecting runway and the presence of 17 pounders I presume that this is late war. The original landing field was completed by March 1936. However the decision was made in October 1941 to extend the runway by over 1600mtrs into the sea. By January 1942 over a 1000mtrs had been completed and by 1943 the full 1600mtrs was completed in time for the Allied invasion of North Africa. So not necessarily late war but say, 1943+? Just thought that I would post these two photos which show one of the Gibraltar guns. It now resides at Duxford Imperial War Museum in Cambridgeshire after being dismantled and taken off the top of The Rock. Thanks to all who have contributed here, some very thorough information and it definitely answeres my original question. When did the gun on Spur Battery come to the UK and which RFA ship brought her over please - almost certainly it was RFA Hebe or RFA Bacchus? Also would anyone have an image of the ship with the gun onboard please?